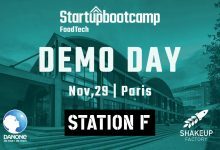 Rome, Italy, May 28 – Startupbootcamp FoodTech, the leading global foodtech accelerator, based in Rome, is proud to announce that this year its Demo Day will take place on November 29 in Paris, at Station F, the biggest startup campus in the world. Each year, Startupbootcamp FoodTech invests in 10 startups from the global foodtech and agrotech industry and provides them with three months of intense acceleration program which one of the main scopes is to prepare them for the final Demo Day. Thanks to the attendance of hundreds of industry-focused partners, investors, corporates and venture capital firms from all over the world, Demo Day is a unique opportunity for startups to obtain valuable business connections in addition to investment opportunities. Peter Kruger, CEO and MD of Startupbootcamp FoodTech says: “Paris is rapidly positioning as the hottest ecosystems for investors and corporations operating in the agrofood-tech space”. “By featuring our top class global cohort of startups, which gets selected from a deal flow of over a thousand applications from all over the world, we will bring huge business opportunities for all of the Paris ecosystem stakeholders”. This is the first time a Startupbootcamp program brings its Demo Day to Paris, thanks to the support of key partners from the French FoodTech ecosystem such as Danone and ShakeUpFactory. Emmanuel Faber, CEO and Chairman of Danone, who will take the stage to deliver a keynote during the event adds: “Entrepreneurs are a driving force for the food revolution, the movement calling for healthier and more sustainable eating and drinking practices. Through our partnership with accelerator Startupbootcamp FoodTech, Danone is globally engaging its experts to support young startups that transform the food industry. Bringing the Demo Day to Station F further positions Paris as a stronghold for food innovation”. As a partner of Startupbootcamp FoodTech, Danone is also one of the key supporters of Startupbootcamp to hold the Demo Day in Paris. The two companies joined forces in January 2018 to invest in the future of food system together and since then, they have been jointly creating matchless opportunities for the entrepreneurs to become leaders in foodtech and agtech space. During the first two years of the Startupbootcamp FoodTech program, Auditorium Parco della Musica and Spazio Novecento in Rome were chosen as venues for the Demo Day and each year an approximate of 400 professionals attended this unique event. This year, the 10 selected startups will complete their acceleration in Rome and finalize the program in Paris at Station F, the world’s largest startup campus. Transforming Paris into the startup capital of Europe, Station F is expecting to host over 300 attendees among investors, corporates, experts, press and mentors from the agrofood industries. Kevin Camphuis, COO of ShakeUpFactory, the leading French accelerator and network catalyst focused on foodtech and agtech, says: “This Demo Day is a great opportunity for France, confirming Paris as the hottest hub for agrotech and foodtech startups in Europe”. “We look forward to increasing the cooperation with Startupbootcamp foodtech which gives Paris the opportunity to become the world’s reference foodtech capital city”. 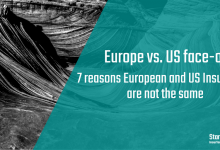 Are you a startup with global ambitions? 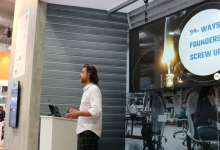 Do you believe you can make it to our Demo Day in Paris? Startupbootcamp FoodTech is looking for 10 promising startups to be accelerated in Rome and be on the spotlight during the Demo Day at Station F in Paris, France. Applications to the program close on 18th of June, Apply Here! Launched in 2016, Startupbootcamp FoodTech is the global foodtech accelerator program and the only program of its kind to attract industry-wide support. Based in Rome, its partners include Danone, Gambero Rosso, Monini, LVenture Group, M3 Investimenti and other investors. With 18 startups in portfolio from 12 different countries, the accelerator program gives startups access to world-class industry expertise during an intensive three-month program. It is part of the global award-winning Startupbootcamp, a network of industry-focused startup accelerators. Visit https://www.startupbootcamp.org/accelerator/foodtech/ for more information. 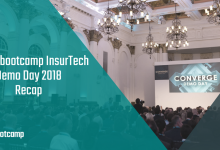 Founded in 2010, Startupbootcamp operates more than 20 industry-focused tech programmes across the world in locations including London, San Francisco, Amsterdam, Berlin, Mumbai, Mexico City, New York and Singapore. 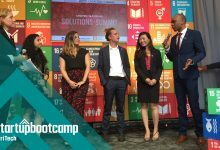 Backed by an international network of mentors, investors and corporate partners, Startupbootcamp supports from early-stage founders to growth-stage companies. More than 600 companies have been accelerated by Startupbootcamp, of which 71% have raised combined funding of more than €331 million. Sustainability Index, MSCI Global Sustainability, MSCI Global SRI Indexes and the FTSE4Good Index. 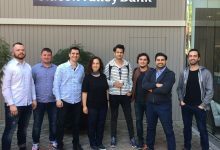 Founded in 2016, ShakeUpFactory is a business-focused FoodTech startup acceleration platform, gathering together a unique ecosystem of 100+ international startups, corporations and investors. We deliver tailored support to more than 40 breakthrough entrepreneurs and help them grow business and R&D synergies with forward-thinking brands and retailers. We are the FoodTech Partner of Station F where we have planted our Foodtech Factory space open to any international project eager to scale up.